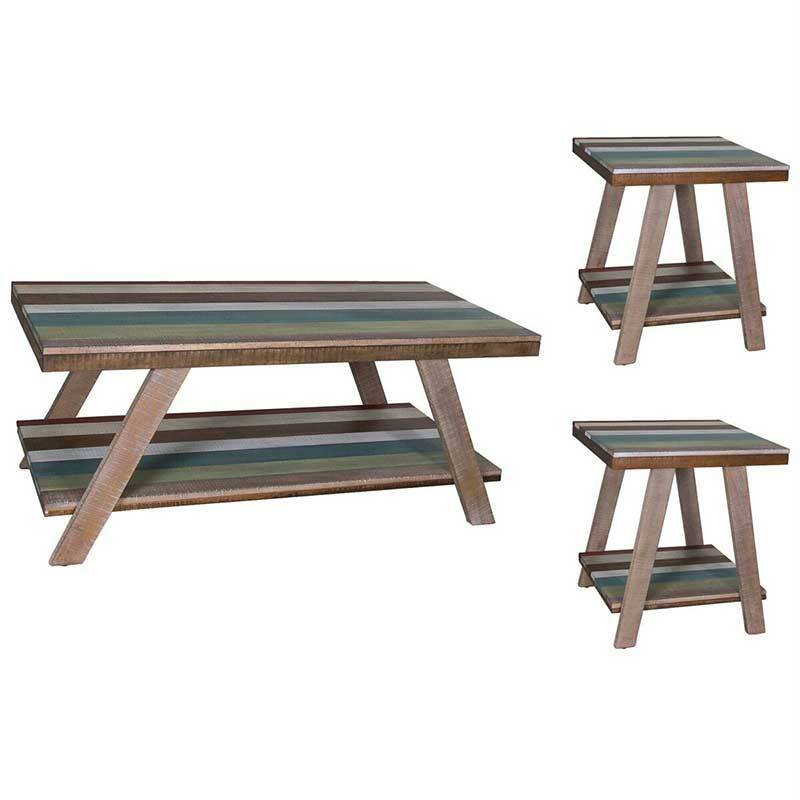 Give your living room multiple pops of color by incorporating this fun Liberty Furniture Table Set into your space. This trio includes a coffee table and 2 end tables, all of which feature a handy storage shelf and stripes of muted green, blue, white, gray and brown. Each piece has the rustic appeal and farmhouse flair that's popularly associated with rough sawn reclaimed wood.